We hope everybody had a safe and happy Thanksgiving! Winter is almost here and the temperatures are dropping quickly here in South Jersey, we had the coldest Thanksgiving in a century! While they forecast the temperatures to climb back up, we thought we would put together a list of ways to entertain your toddlers on cold, bitter days. The cold days of winter will be here soon, and kids quickly develop cabin fever. These activities can keep them busy, help them develop skills, and keep you sane at the same time! Toy Car Tunnels and Race Track – This one is always a kid favorite! Use masking/painting tape and create streets and a racetrack for your kids to use their toy cars with. Get creative and use cardboard to build tunnels, bridges, and ramps. Dance Party – When your kids get antsy and are struggling to sit still for any period, turn your lemons into lemonade! Use your tv, computer, smart speaker, or phone, crank up the music and let the kids go to town! You’ll find that the kids love an impromptu dance party, and if you get in on the action, you might even get your daily workout done as well! Build a Fort – Grab blankets, chair, and other furniture to build an awesome fort that can transform into a house, boat, or airplane with just a little imagination. 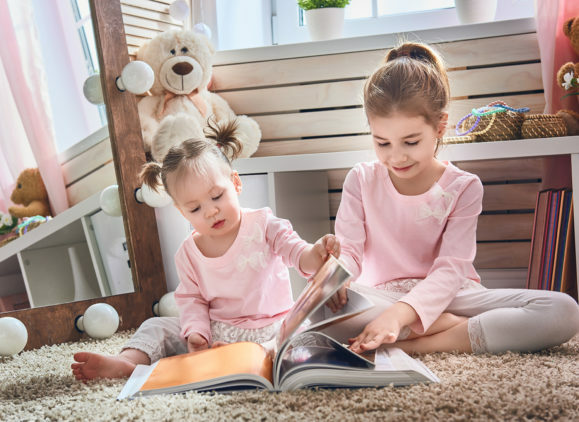 When your kids have grown tired of their fort, you can throw some soft, comfortable blankets in the fort with books or an iPad and let the kids unwind a little. Puppet Show – Kids have such an amazing imagination and puppets help bring out all of their creativity. Using dolls, action figures, or even socks, you can craft a wonderful puppet show that will keep your kids interested and focused on their imagination. Have your kids come up with their own puppet show afterward! Sink/Tub Time – Let the kiddos know it is bath time for their toys. You can host a Barbie day spa or a car was for the cars and trucks piled up in your playroom. Kids love playing with water, and you get to clean those toys — it’s a win/win! If you really want to get creative, fill the sink with dried beans or rice and let them play with scoops, cups, and bowls! Photo Albums – Family bonding over a photo album is always a great activity. You can look at your current photo albums and talk about your memories of those photos, sharing stories and laughing together. Afterward, suggest adding more photos to your current albums with your kids, or even starting a new one that the kids can have a hand in crafting! This is a great opportunity to talk about your family tree – a concept we take for granted, but little ones don’t yet understand. Matching Game – Socks, ribbon, paper, toys, buttons, coins, etc, kids LOVE to match items together. Create a pile of items and have your kids match them up, this activity will keep kids occupied while strengthening fine motor skills! Art/Painting – A go-to for every parent is art/paint time. Toddler absolutely love getting paint on items and making colors, mixing, and making a mess! Find shells, rocks, paper, some paint and watch your kids’ eyes light up. Want to allow the kids to paint but relieve your stress level a little? Try this edible paint recipe that will keep you from stressing out over the mess! Do you have a list of activities that you use you occupy your littles one on really cold days? Let us know in the comments below!